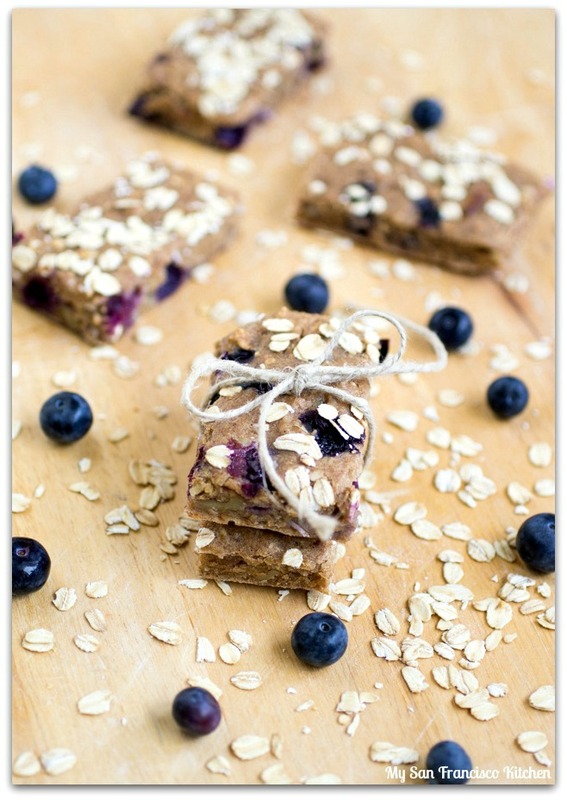 These blueberry breakfast bars are the perfect snack to boost your energy, or as an addition to your breakfast. They are great to grab on those busy mornings when you are on-the-go! I love how easy they are to make. 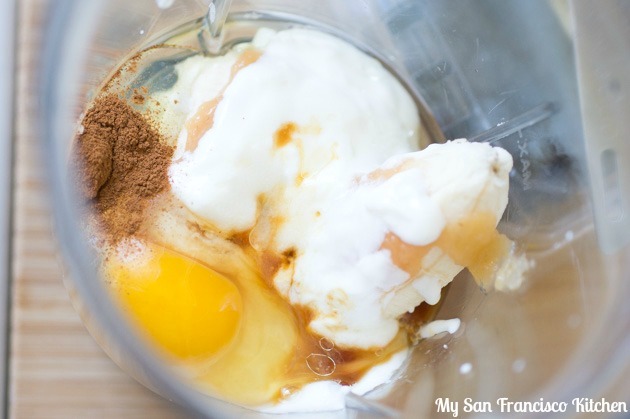 You can use a blender, mixer, or even mix the ingredients well by hand with a bowl and wooden spoon. The fresh blueberries add so much flavor! I also include shredded coconut (I buy the sweetened shredded coconut at Trader Joes in the nut section), and walnuts for a little bit of a crunchy texture. These blueberry bars are soft and chewy, so I definitely like adding those in. They will only stay fresh for a few days, but you can freeze them too. 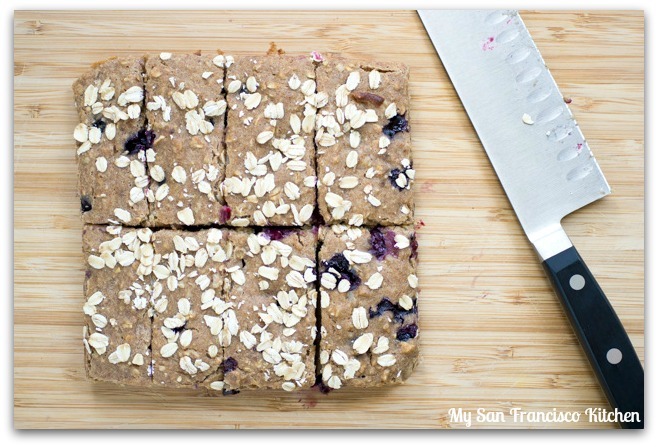 This recipe will make 8 blueberry breakfast bars, so double the recipe if you want to make more! Today at my prenatal yoga class I realized that I only have a few left. It is exciting to think that she can come any time now, whether I am ready or not! The classes have been really helpful in many ways, and I have been staying active throughout the pregnancy by walking a lot and doing strength/stretching exercises recommended by my doctor. I definitely miss running and biking, though!! It has felt like so long since I have done either. We have been working hard to create space in our little corner of the world for another little person, but finally getting closer to being done (yay!). It feels great to have less clutter and be more organized now…our place is so much more spacious now! Add the "wet ingredients" (banana thru vanilla) to a blender or mixing bowl and blend/mix well. 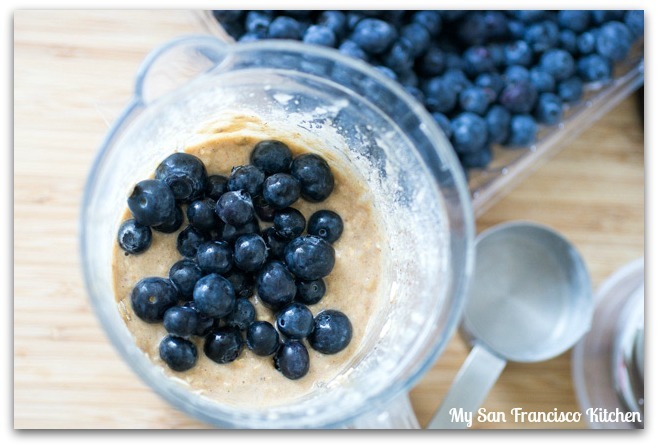 Add the remaining ingredients, except for the blueberries, and mix until smooth. 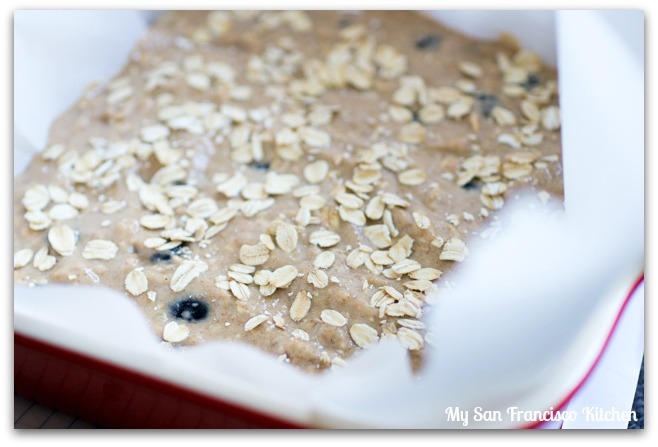 Stir the blueberries in by hand, then transfer the batter to and 8-inchx8-inch baking dish lined with parchment paper. Bake for 30 minutes, then remove from the oven to cool for 10 minutes. Lift the parchment paper up onto a wooden cutting board, and gently slide the block off onto the cutting board. Cut evenly into 8 bars. 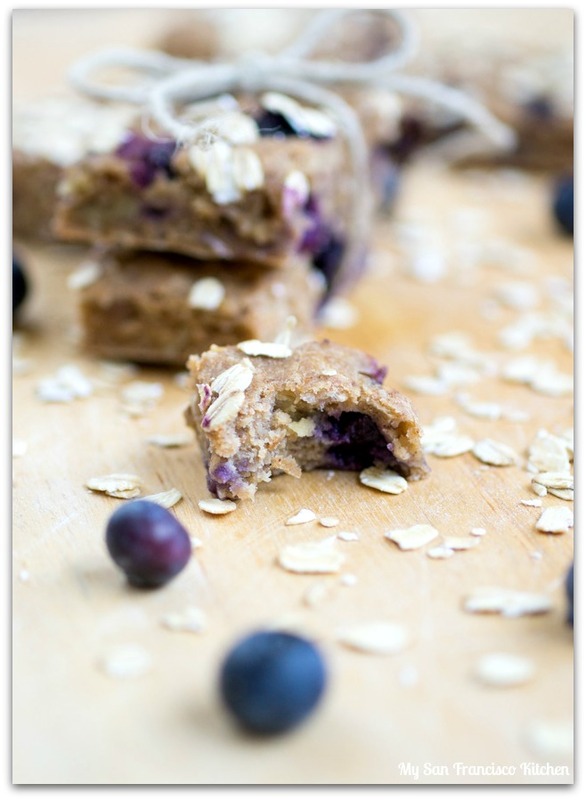 This entry was posted in Breakfast, Organic, Snack and tagged bars, blueberry, breakfast, coconut, oats, walnut. These look delicious – I love the chewy texture. I think I’ll try swapping the whole wheat flour for oat flour (I’m g-free) and I’ll let you know how they turn out! Super! 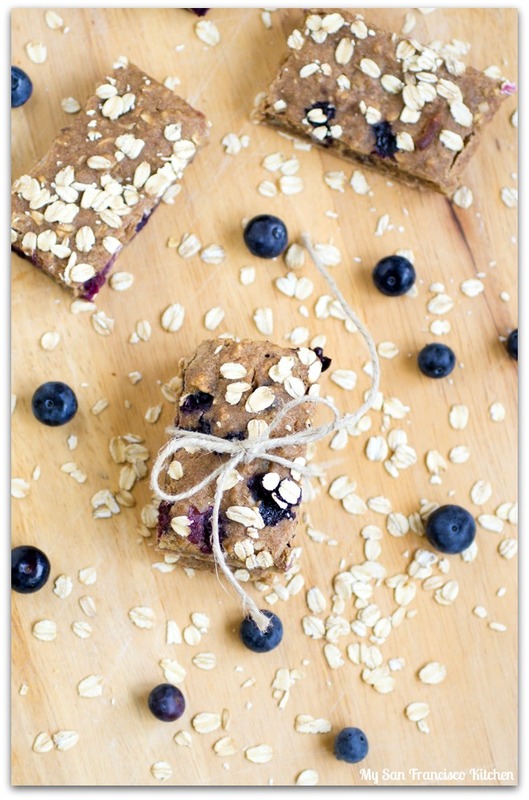 I have everything in my pantry to make these delicious and healthy bars! Just pinned! What a healthy and yummy recipe; thank you so much. Thrilled to hear you are about to have a mini-you. Thanks for your sweet comment, Mariette!